The Canon EOS 7D’s reign as the flagship in Canon’s APS-C DSLR lineup finally comes to an end as the firm announces its successor: the Canon EOS 7D Mark II. With this new release, Canon seems to be placing the emphasis very much on speed and accuracy. The 7D Mark II boasts two DIGIC 6 image processors, which allows it to shoot at up to 10fps without making any sacrifices in resolution. The rest of the camera is able to keep up with this improved speed too – we haven’t yet been able to test the write speeds of the Canon EOS 7D Mark II, but Canon claims it will be able to shoot 31 Raw files at 10fps before hitting the buffer, and that it’ll be able to shoot JPEGs indefinitely (or at least until your card fills up). The 7D Mark II receives a boost in resolution over its predecessor – unsurprising given the five-year gap between them. 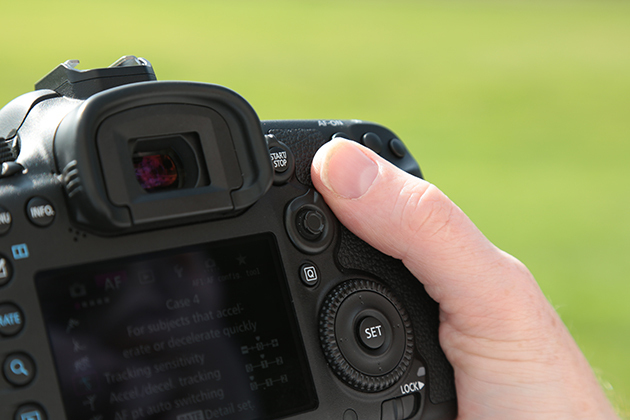 Its APS-C CMOS sensor boasts a pixel count of 20.2MP – identical to that of the EOS 70D. It also comes sporting a viewfinder with 100% coverage of the frame, which can overlay additional shooting info such as white balance if the user desires, and features a levelling guide for straight shots. A new 150,000-pixel RGB+IR metering sensor has also been added for even more accurate exposures. High burst speed needs top-notch autofocus to complement it, and it appears that Canon has outdone itself with the 7D Mark II’s new 65-point AF system. Whereas previous Canon AF systems have featured 19 cross-type AF points, in the EOS 7D Mk II every single one of these AF points is cross-type. The centre point offers dual cross-type focusing at f/2.8. 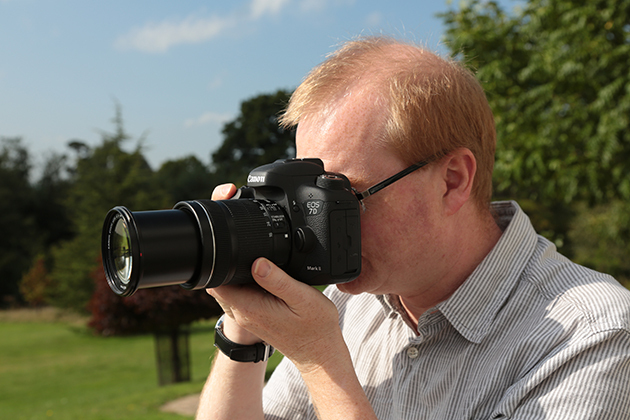 The autofocus system on the EOS 7D Mark II pulls in a fair few features from other Canon DSLRs. It inherits the latest generation off AI Servo II from the EOS 1DX, and improves on the acceleration and deceleration tracking of moving subjects. It also borrows the six autofocus ‘case studies’ – AF settings that correspond to specific situations – from the EOS 1DX and EOS 5D Mk III. A new AF selection lever allows the user to switch between AF modes without moving away from the viewfinder – a welcome addition that should make shooting a good deal more fluid. Design-wise, Canon hasn’t made great strides on the original EOS 7D. 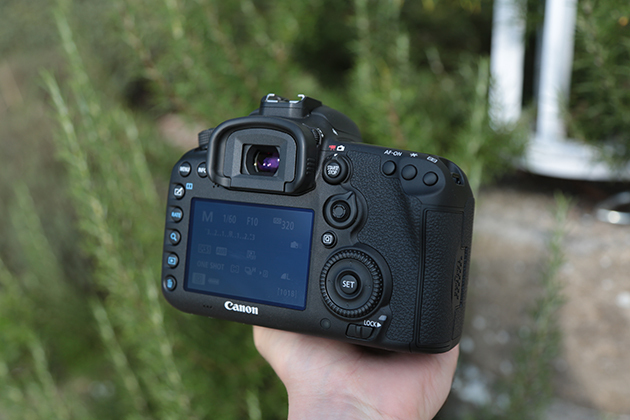 The 7D Mark II looks and feels very similar to its predecessor. However, there are a few refinements in the physical design that are worth looking at. 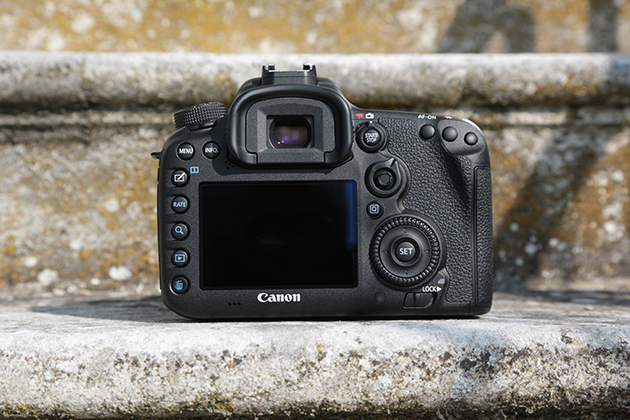 New to the 7D Mark II is weather sealing, which Canon says is second-best to the EOS 1DX. The dimensions have also been altered slightly from the 7D, allowing the 7D Mark II to accept a new BG E-16 battery grip. While it’s nice to see a built-in interval timer and dual card slots – one SD, one CompactFlash – it is a bit of a shame that we aren’t seeing a touchscreen on the 7D Mark II. A vari-angle screen would have been nice too, rather than the fixed version we’ve ended up with. More surprising though is the lack of built-in Wi-fi functionality. Seeing a DSLR released without Wi-fi in 2014 is, to be honest, rather odd, and while the EOS 7D Mark II can be used with the WFT-E7 wireless file transmitter, this involves incurring an additional expense of a whopping £599. 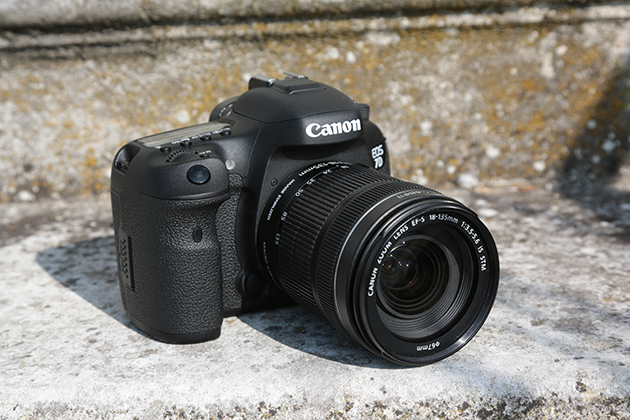 The Canon EOS 7D Mark II is expected in the early weeks of November, priced £1599 body-only.